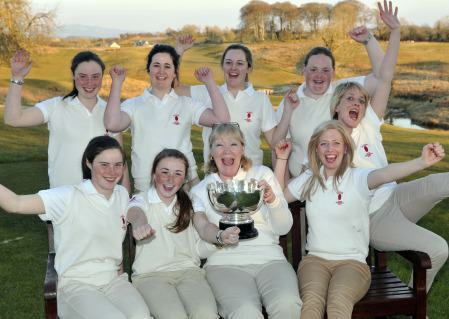 Leinster won both the foursomes and the singles sessions to defeat holders Ulster 5½ - 3½ and capture the ILGU Women's Interprovincial title at Tramore. 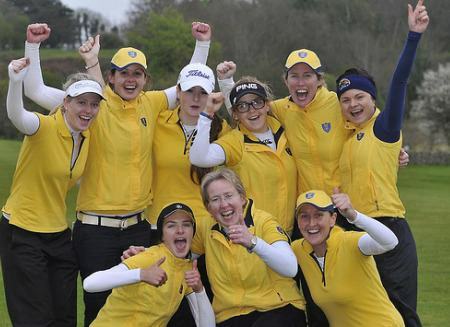 Maria Dunne and Mary Doyle halved with Olivia Mehaffey and Jessica Ross before Amy Farrell and Karen Delaney also finished all square with Niamh Ward and Niamh McSherry. But a 2 and 1 win for the experienced Deirdre Smith and Aedin Murphy over Louise Coffey and Kelsey Coey put Leinster 2-1 ahead heading into the six singles where they managed to come out on top in a tight affair. Irish Girls Open Strokeplay champion Olivia Mehaffey gave Ulster the top singles with a 3 and 2 win over Leinster’s Ariana Coyle Diez. Playing superbly recently, Mehaffey birdied the seventh, eighth and 12th to go dormie five but Coyle Diez won the 14th and 15th to reduce the deficit before eventually going down on the 16th. 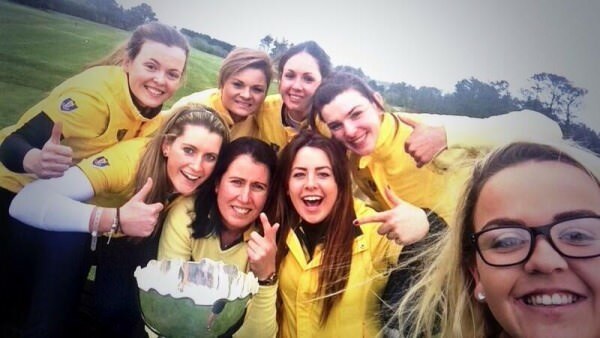 Leinster's Amy Farrell and Mary Doyle beat Coffey and McSherry by 4 and 3 respectively to give them a 4-2 lead. With Leinster only requiring another half match to secure the title, Maria Dunne duly obliged by halving a tight match with Jessica Ross. Carlow's Karen Delaney also followed up with a fine win on the 18th against Chloe Weir before Ulster's Niamh Ward defeated Deirdre Smith 2 and 1 in the final match. The match between Connacht and Munster was cancelled as a mark of respect to Noel O'Neill, father of Munster's Karen O'Neill, who died suddenly on Wednesday evening.